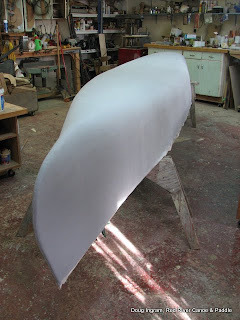 Got the filler on the flat transom Tremblay. Now I have to let it sit and cure. This one the owner is going to do his own painting and varnish in order to keep the costs down. Now that the bulk of the work is complete, I have yet to get new gunnels made and installed, then get the inner and outer keel on.